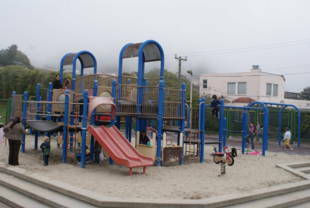 West Portal Playground is a notable neighborhood park in San Francisco. The climbing structure is appealing to all children and is very well-maintained--it looks like new! The sand pit is so clean that it's ok for your tot to go barefoot! 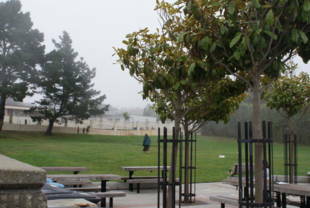 There is a big field positioned next to the playground for a pick up game or fetch with your dog. There are tennis courts available and a rec center for more activities! 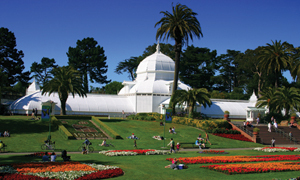 Facility phone number is (415) 753-7038. 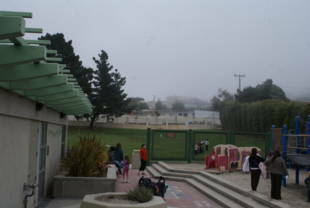 West Portal Playground is owned by the San Francisco Recreation and Park Department. 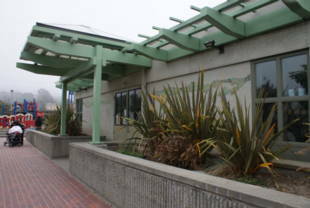 The playground is conveniently situated next to the West Portal Muni station.